ALGO doors using AlgoRhythm Technologies using a variety of ALGO panels were developed and prototyped at Milgo. These are examples of first undulated curved doors from single sheets and used curved frame, also from single sheets. The hinges were placed on matching curved surfaces for clean opening. We also developed pivot doors (not prototyped), as well as the first corner doors with single or more bends that permit spatial entry from shared corners of adjacent spaces. 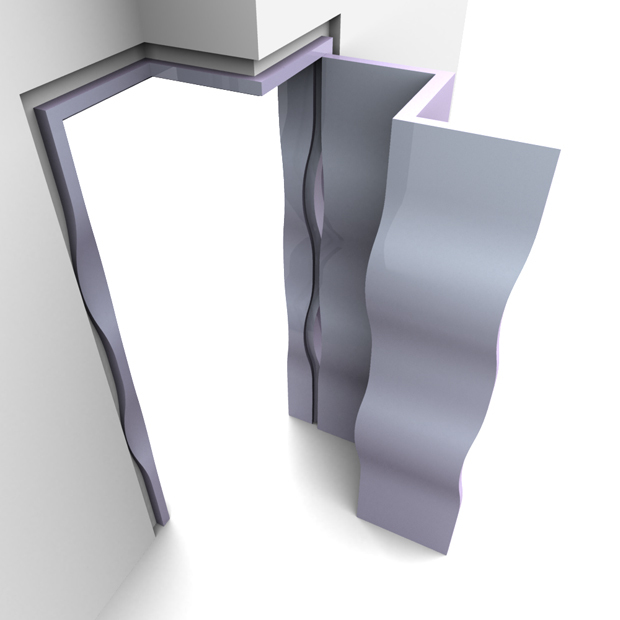 Computer images show a simple Algo door and two versions of a double-bent corner door.